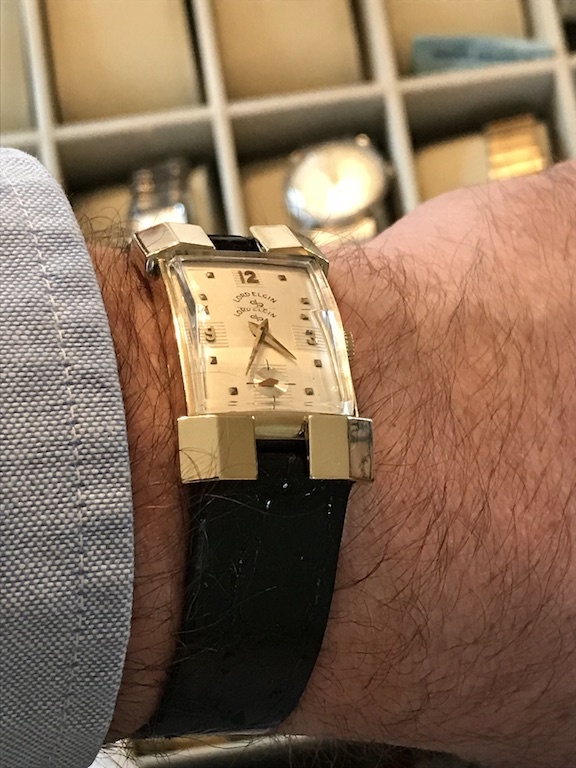 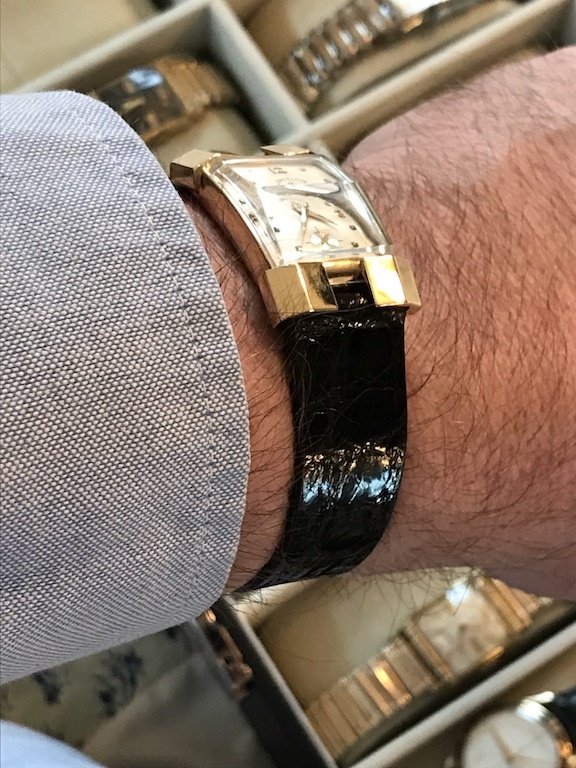 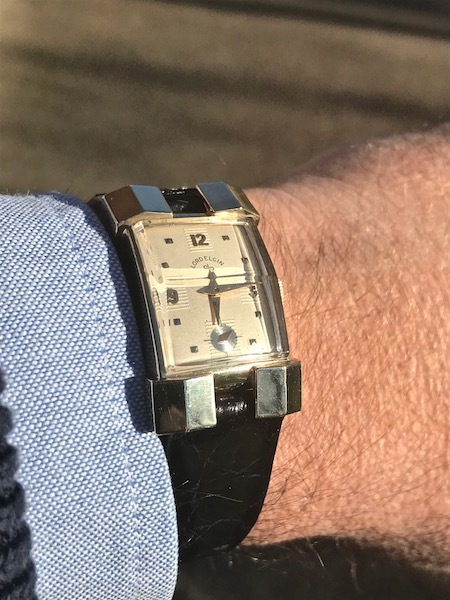 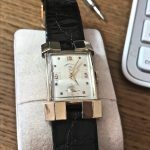 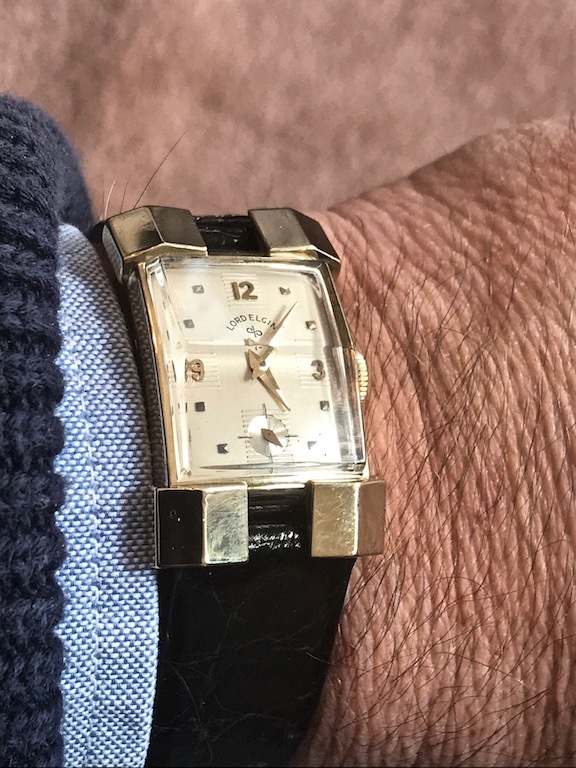 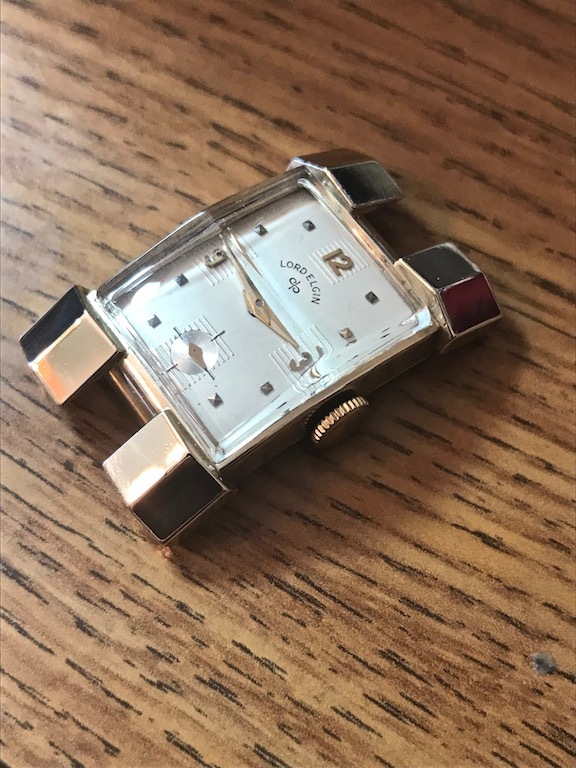 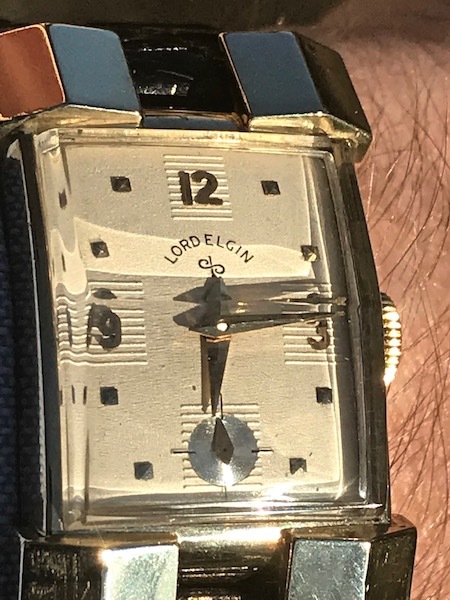 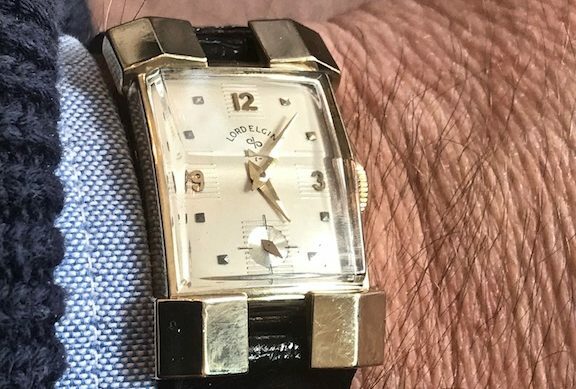 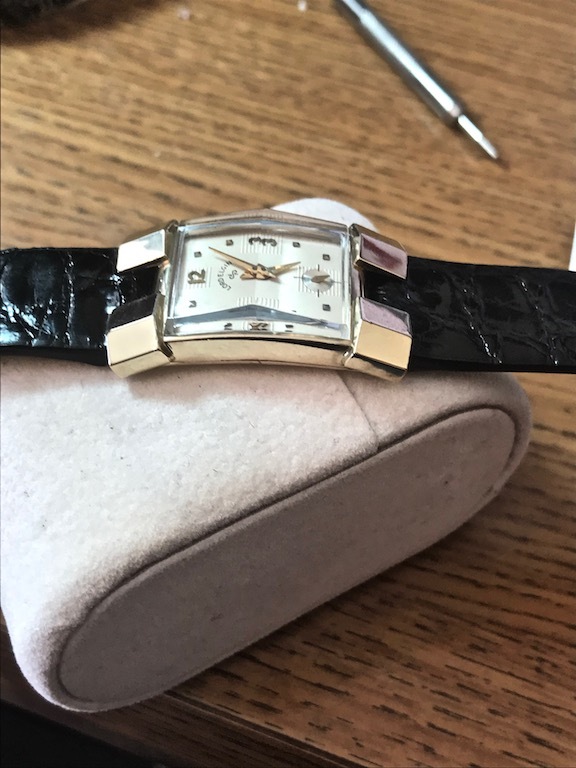 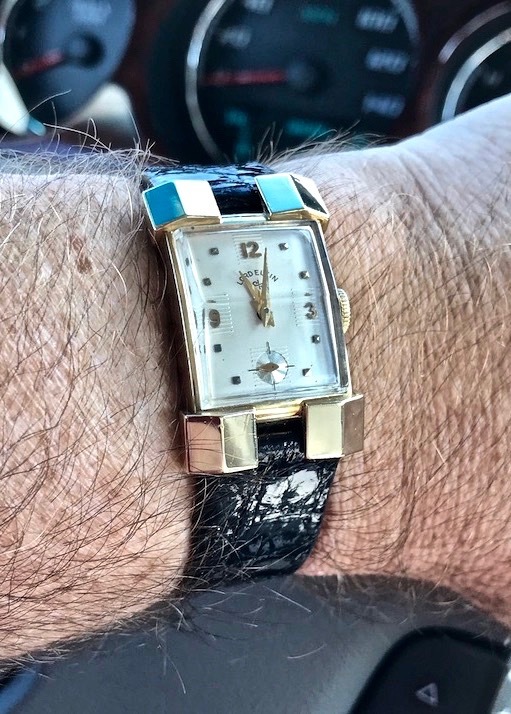 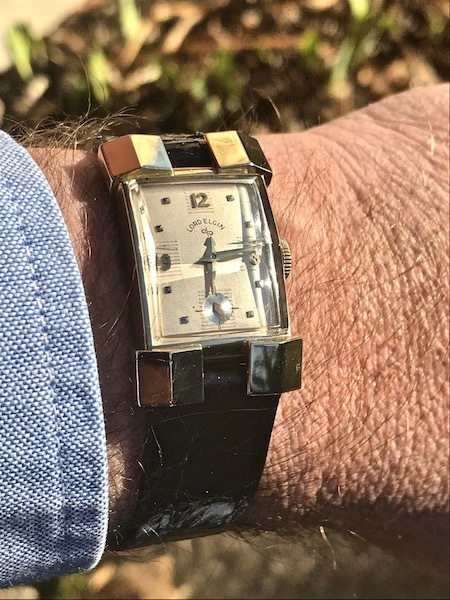 Early 1950s Lord Elgin Drake | Grumpyguy Inc. 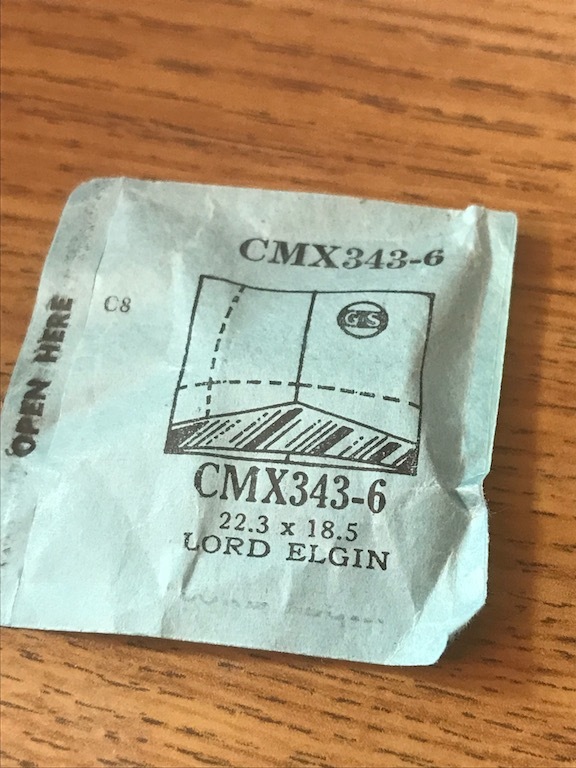 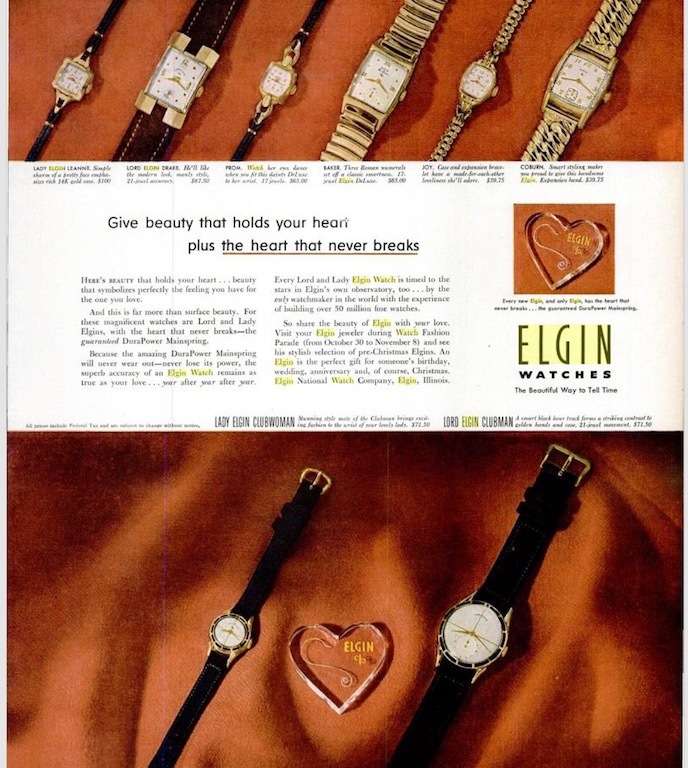 The movement dates the Lord Elgin Drake to 1954. 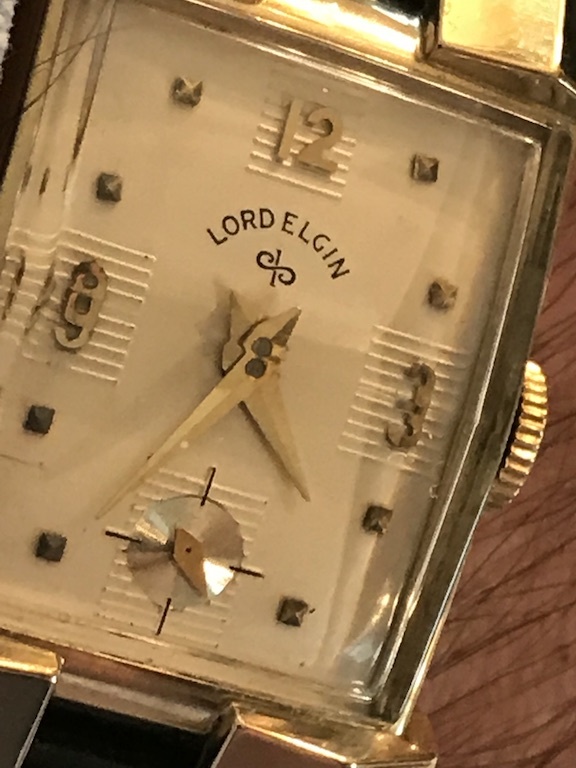 It uses the case number 4627 and is 14k gold filled. 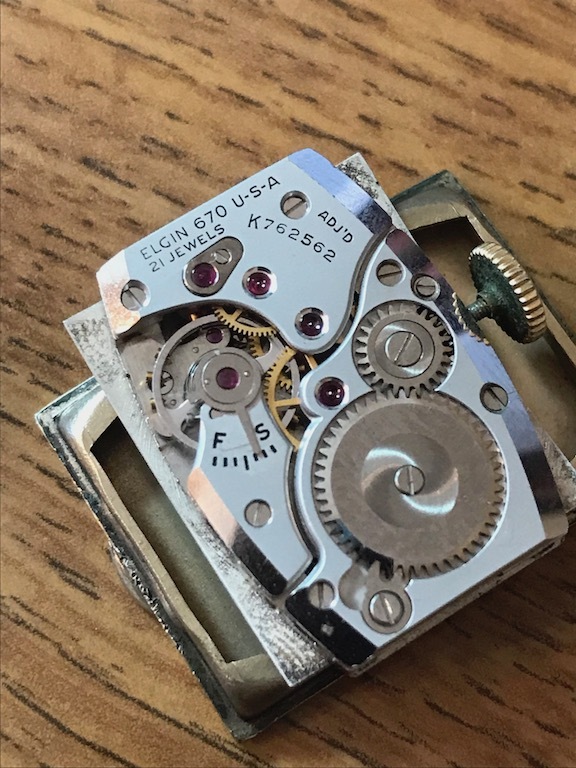 The watch uses the 21 jewel, 670 movement. 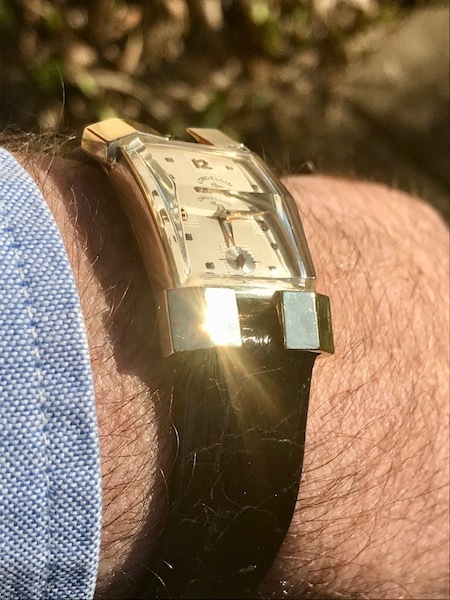 The Drake is noteworthy for its unique extended square lugs and beveled crystal. 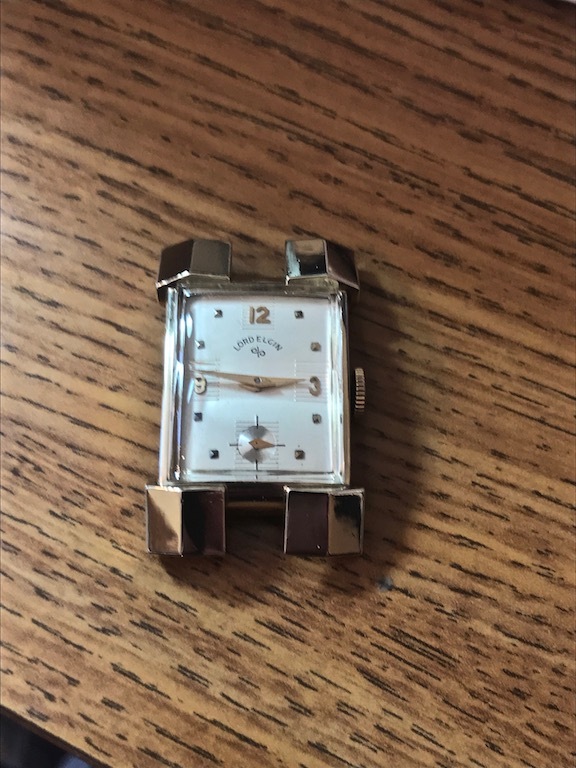 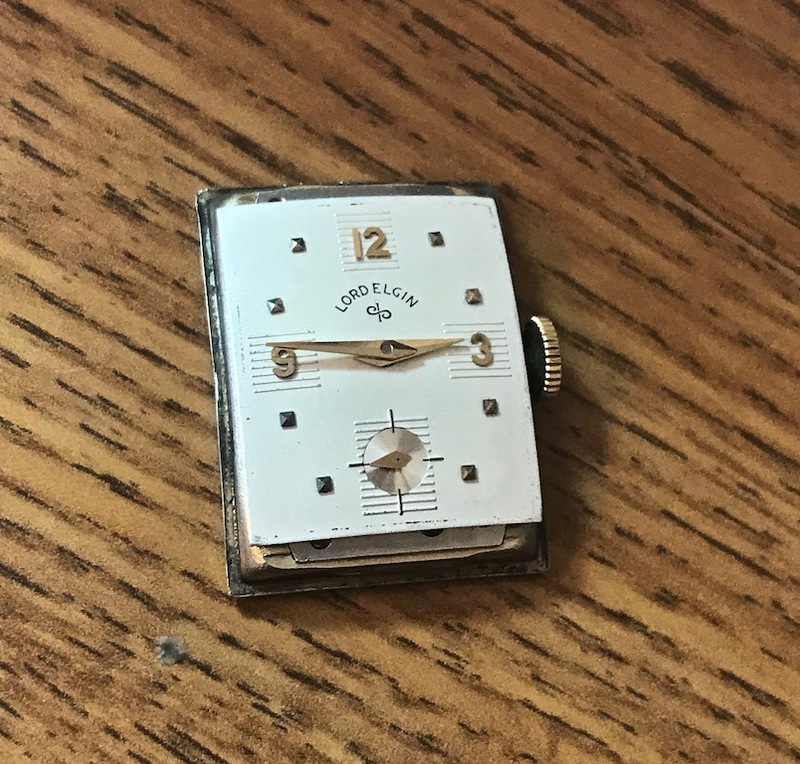 The watch came with half of a crystal, but surprisingly, the dial was still in great shape. 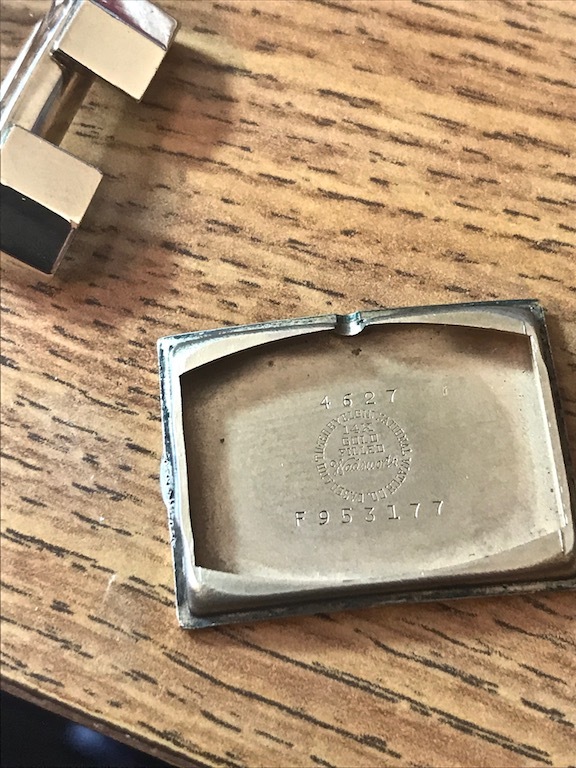 The hour markers needed to be polished, but even the slightest pressure loosened them and several came loose! 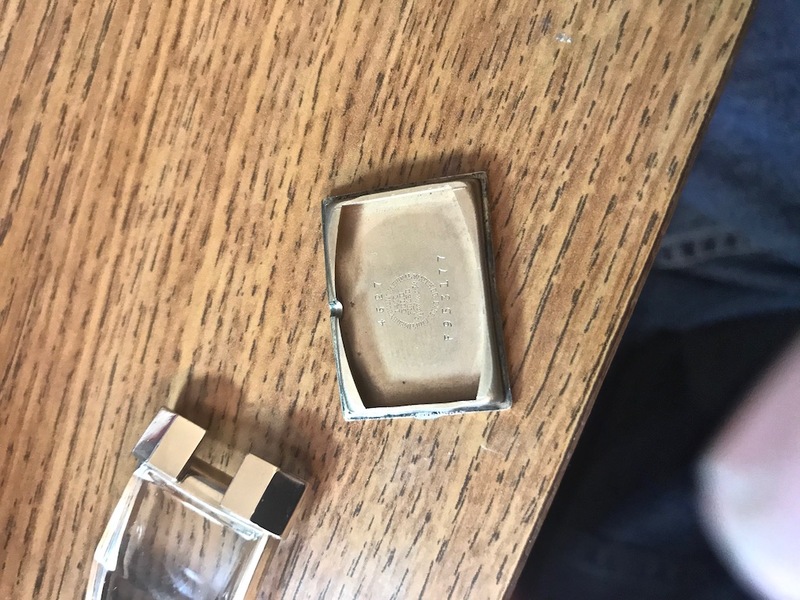 It took me an hour to find them and another 20 minutes to glue them back in. 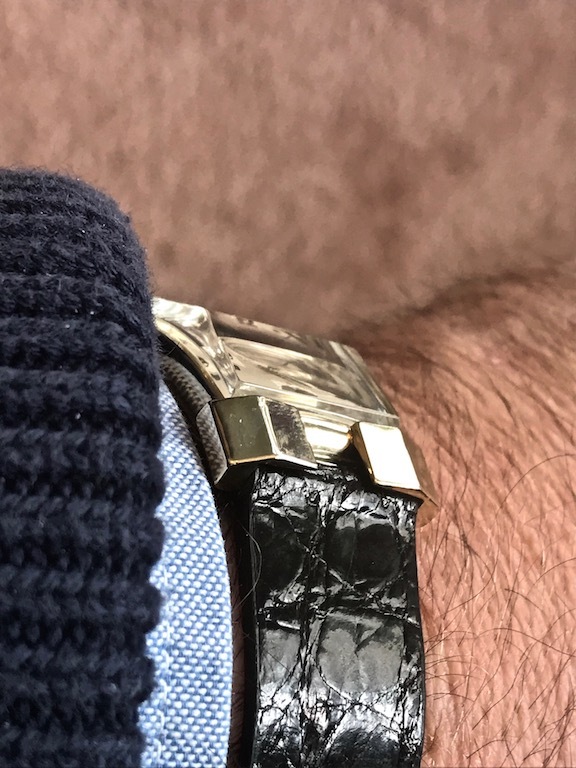 I put the Drake on a flat, black Alligator strap by Kelaran.